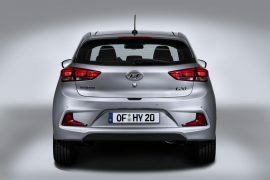 The new generation 2015 Hyundai i2o Coupe 3-door body style has been unveiled ahead of its launch in the European car market. 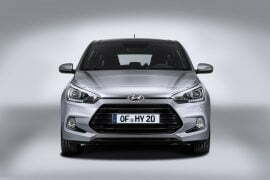 Other than boasting of a three door format, the latest generation i20 also sports some styling enhancements in the Coupe guise. All these deviations come together to bestow the i20 Coupe with looks that aren’t overtly reminiscent of the five-door i20 (aka Elite i20 in India). The sporty looking 2015 i20 Coupe is 25mm shorter than the regular i20. Like we said earlier, the new model isn’t too identical to its five-door sibling and most of the changes can be found in the front fascia, which gets a different grille, larger fog lamps and a chin air spoiler . All these updates come together to give the new car’s design a sense of ‘aggressiveness’. When seen in profile, the car’s roofline swoops to meet the thick C-pillars. 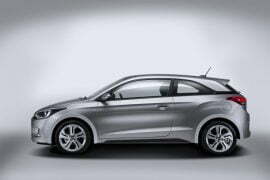 Together with the quarter glass, this region makes the i20 Coupe look far sportier than the 5-door variant. At the rear-end, the car gets a sportier bumper. The new model rides on new design alloy wheels that measure 17 inches in diameter and gets a new Tangerine Orange paint option. On the inside, the car remains largely unchanged. Worth mentioning here is that the luggage space has increased by 10 litres! As expected, the car shares its engines with the five-door model. The buyers can opt for any of the four engine options, which comprise of petrol motors that displace 1.2 and 1.4-litres and oil burners that displace 1.1 and 1.4-litres. 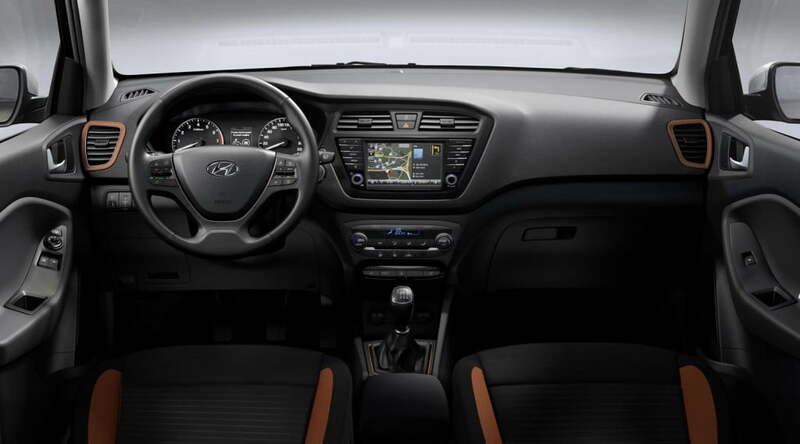 While the base petrol motor comes mated with a five-speed manual gearbox, other gets a six-speed unit. 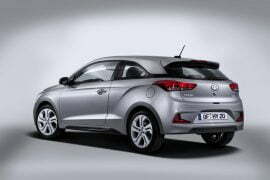 The 1.4-litre petrol engine also gets an option of a four-speed automatic transmission.